Hey, y’all!! 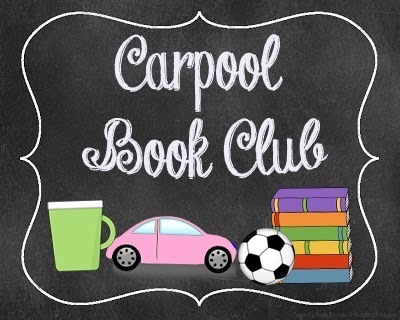 Today is the next Installment of our monthly link- up, Carpool Book Club! So fun!! Post about the books that you’ve read lately and join the linkup! This month, I read three books that were perfect for summer reading! 1. Spring Fling–this was a fun little book that i picked up while we were out and about. The story line is light and cute. Perfect for beach reading or after the kids go to bed! So, this one was my favorite from the three. I loved the message. I am so thankful that I read this one, and I think that you will be as well! I need to read that first book you recommended!! Spring Fever sounds so good! And I’m glad you liked Bossy Pants too :). Tina Fey is so funny! Let’s All Be Brave was one of my all time faves!! So glad you liked it!! If you enjoyed “Bossypants,” you’ll LOVE “Is Everyone Hanging Out Without Me?” by Mindy Kaling. It’s hilarious!! I’ve read every single one of Mary Kay Andrew’s books. There isn’t a bad one!! I have Lets All Be Brave on my list, and I can’t wait to buy it and read it. Glad to see some more people liked it! Just added Spring Fever to my list, I can’t ever turn down a good Beach read! Have you read anything by Wendy Wax? I randomly picked up “Leave it to Cleavage” and loved. I’ll be reading more Wendy Wax. I also highly recommend anything by Susan Elizabeth Phillips.